Coming this April 29th and 30th, A Taste of Ashland showcases the region”™s best art, food and wine. The event is hosted by multiple galleries throughout the city”™s Historic Railroad District. 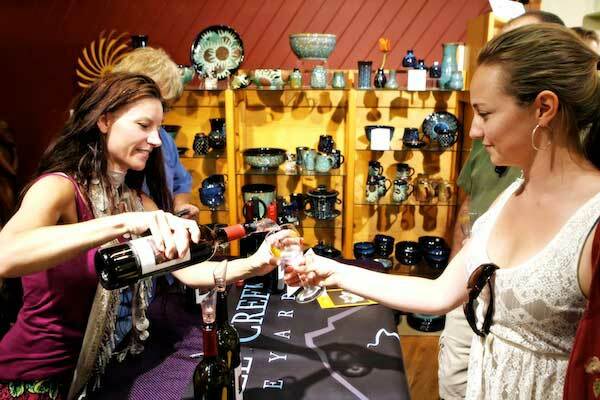 Pairing over twenty Ashland Gallery Association galleries with restaurants, brewing companies and wineries, A Taste of Ashland has become one of the most talked about events for locals and tourists alike. Indulge in the best local foods and wine while treasuring local art. Tickets are $65 for both Saturday and Sunday, $55 for Saturday only and $45 for Sunday only. Although most galleries are within walking distance, you have the option of a free shuttle by AllAboard Trolley.